When talking about makeup that lasts through the summer heat, my favorite mascara from Fairy Drops no doubt comes to mind. 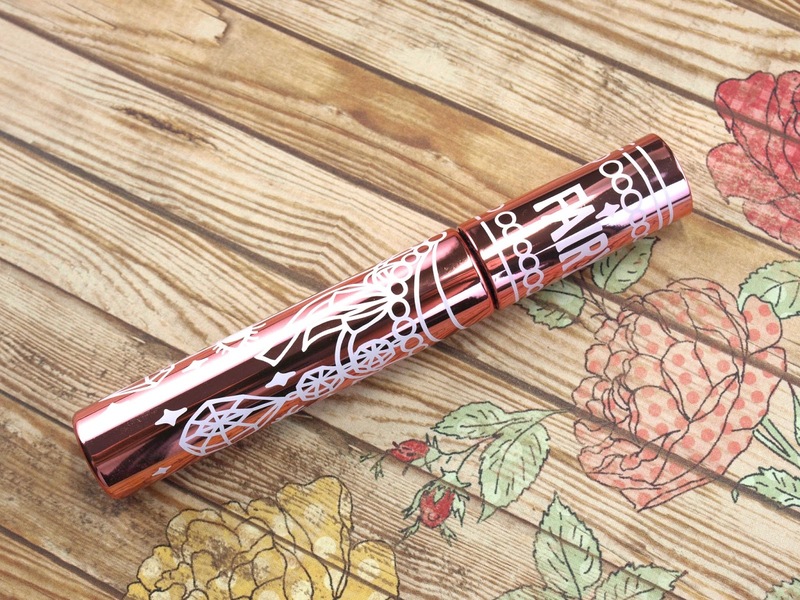 Heck, this mascara not only lasts through a little heat and humidity, it will last through pretty much anything- rain, tears, makeup wipes, you name it! Not to worry though, it removes easily with oil based cleansers. Now without further ado, I would like to introduce you to my all time favorite heat-proof makeup: Fairy Drops Waterproof Platinum Mascara ($14.50 USD)! The mascara comes with a slightly curved wand with three distinct "bumps" along its brush, designed to help you coat the lashes from root to tip. The brush tip is also nicely tapered so you can really reach into your inner and outer lashes with ease. 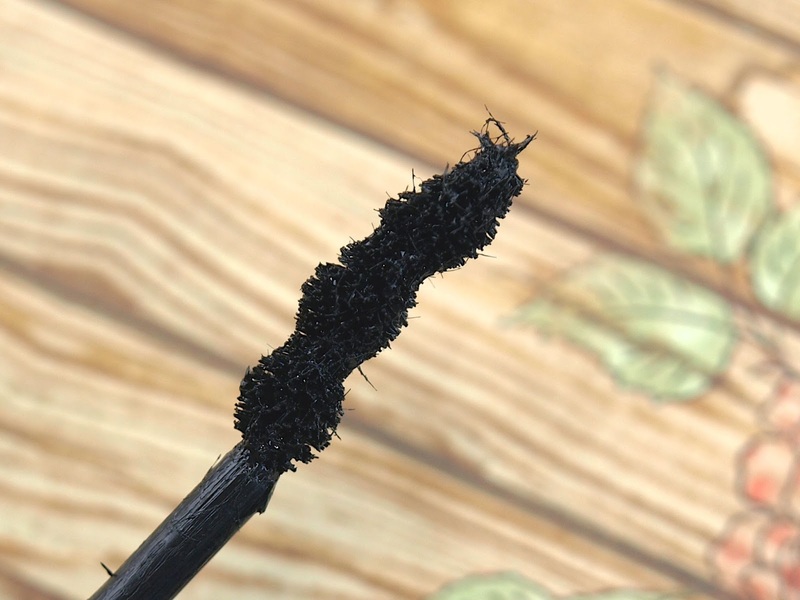 The formulation contains lots of tiny lash fibers that help extend your natural lashes. The result it achieves is super natural and the fibers are held in place very securely so you won't ever need to worry about them falling into the eyes. The Fairy Drops Waterproof Platinum mascara gives a lot of definition and it holds curls like no other mascara I have tried. So if you have straight lashes these will work very well after you curl them using a lash curler. Left: Curled lashes; Right: Curled lashes with about one coat of mascara. Most of all though, the formulation of this mascara is 100% smudge-proof, waterproof, and flake-free. It will never ever leave you with racoon eyes! However, the product removes very easily with a good cleansing oil or just any oil-based remover. For the past three years, this is the only mascara I have used and last week I just put in an order for a couple more! So if you have trouble with your mascara staying on during the summer heat, check this one out, you won't regret it! that's a pretty funky looking brush! Though, your lashes look amaaaaaaazing and natural! Neeeeed this! Jasmine definitely has me wanting to try it out as well! wow that's a fantastic result and a weird brush but it really works! I'm now totally intrigued by this mascara! Results look really great, I hate when my mascara runs down my face in the summer! I can't stand that either! I was thinking that this is something you would love Chantal! I want all of y'all to try it lol!! But I think those with straight asian lashes will really appreciate this one. If you already have very full luscious lashes, this may not make that much of a difference. Haha! I'm still really interested in trying it out, even though my lashes have a natural curl. Always fun to try out new mascaras! Considering how well this works, $14.50 is a really good deal! The brush looks a little scary but it actually looks totally natural on you! Ya the price is actually very reasonable! I wish this was more readily available in Canada though! I've been curious about fiber mascaras but I'm afraid of the fibers falling in my eyes. This one sounds good! this is my fav mascara!!! hate that i can only get it in asia. i know they carry only one of the verisions in sephora. I guess I should have picked up a few tubes while I was in China! This looks like it does a great job lengthening lashes. And it looks so natural.